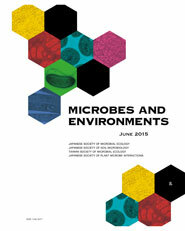 Microbes and Environments (M&E) is an international, peer-reviewed, open access journal devoted to the publication of original and review articles regarding all aspects of research on microbial ecology and environmental microbiology. 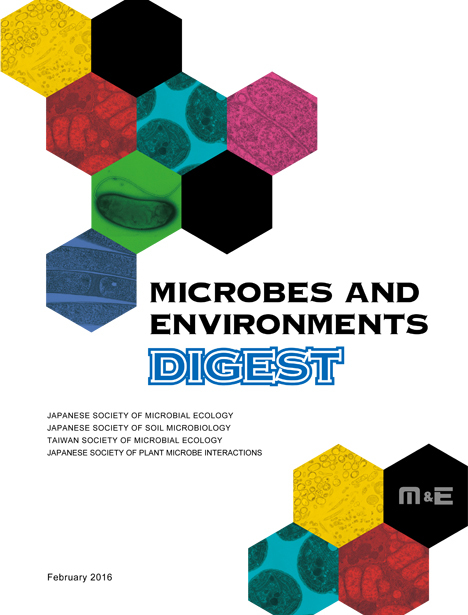 It is published quarterly in a printed and an electronic version by Japanese Society of Microbial Ecology (JSME), Japanese Society of Soil Microbiology (JSSM), Taiwan Society of Microbial Ecology (TSME), and Japanese Society of Plant Microbe Interactions (JSPMI). M&E has an Impact Factor of 2.476 according to the 2017 Journal Citation Reports. Articles can deal with cultured and non-cultured forms of any type of microorganism: Bacteria, archaea, fungi, yeasts, protozoa, algae and viruses.